Cook a slice of bacon in a pan until it is crispy. Cut it up into 10 little pieces. Do the same with half a small cantaloupe. 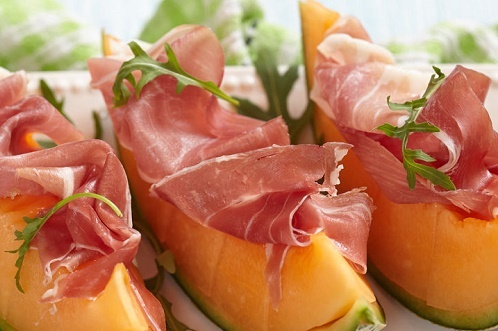 Skewer the bacon and the fruit on toothpicks together with mint leaves, and serve.